GOLD PTA MEMBERSHIP AWARD - THANK YOU! 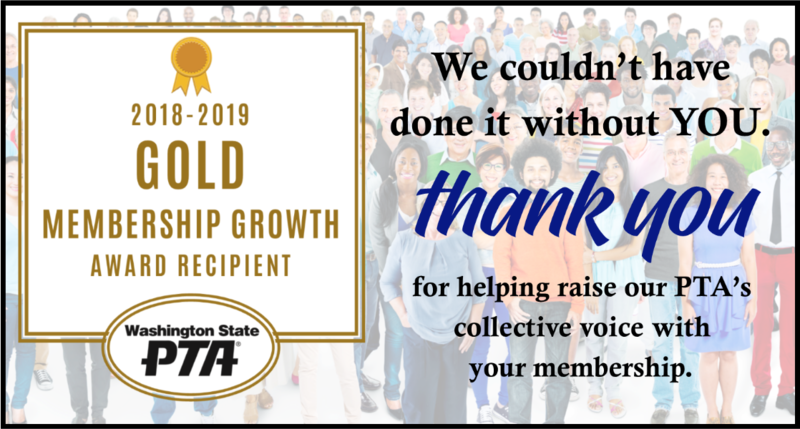 Lawton PTA has recently been recognized by Washington State PTA as a Gold Membership Growth Award recipient! PTAs are presented with this award for enrolling members equaling at least 110% of their previous year's total membership. That means our PTA is growing! Thank you to everyone who has become a member so far this year. YOU are the reason our PTA achieved this award! If you haven't yet signed up for a 2018-2019 PTA membership, please consider joining today! By doing so, you are demonstrating your support for our PTA and all it does for Lawton. Our weekly newsletter, Lawton eNews, is compiled weekly by the PTA Communications Newsletter Chair. To subscribe to the Lawton eNews, please click here to complete the form. Submit print ready newsletter articles and announcements by email to: newsletter@lawtonelementary.org. Deadline: Friday 9pm for the following Monday’s edition.